“No, no, no! That bolt is too small for that, Chirper- Don’t put that in your mouth, Slider!” bellowed Lady Frostbite as the Darblats eagerly worked in front of her. Chirper, the Darblat with the narrowest beak, continued to shuffle through a pile of nuts and bolts that had been amassed on the thick ice, throwing them over his head in search of the perfect bolt. Around him were hundreds of other Darblats, all running and working (or, well, trying to) as they did every day. Ever since Torchio and the Defenders of Neopia destroyed the Snow Cone Machine, fixing it had proven to be quite the task. Lady Frostbite now stood alongside one of the long destroyed tubes of the machine, supervising Hopper as he welded together the metal coverings. “Ok, be careful there, bec-” BANG! She turned to face the noise and so did Hopper, and to their surprise they found Crier on the floor, around him three boxes that had been full of tools now all sprawled on the floor. Next to him sat Chirper with a shocked look in his face. The bolts he had been throwing behind him were now all over the cave’s ice floor. Everything was quiet for that moment... but only for that moment. Around them erupted an explosion of noise; Crier pushing Chirper for leaving the bolts on the floor, Chirper screaming back that he should’ve been paying attention, and the many witnesses taking sides on the matter. “ENOUGH!” Frostbite marched over, separating the two bickering Darblats and their parties. 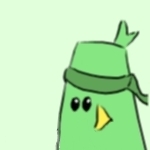 “Chirper, pick up all the bolts you scattered and help Crier pick up the tools! Crier, apologize for pushing Chirper and get your stuff together,” she growled. Both Darblats hung their heads and shook wings, doing what she instructed. The others who were witnessing murmured something in unison and started walking off to what they were doing before. “Now if only I coul- HOPPER!” She stopped with gaping jaw at Hopper. He had turned to watch the whole scene and left the welder on, burning yet another hole through the pipe. Jumping up in surprise, he fumbled through the on-off switch and gave her a weak smile. This was just not her day. “Everyone, stop working, just stop!” There was silence in the room once again and all eyes turned to her. She was trying to fight back the tears of exhaustion and frustration from the past few days and found even looking at her beloved Darblats difficult now. “Just... forget about this, forget about it all. All I wanted was a simple frosty doom to Neopia and even THAT we can’t do. Just... leave me be,” she sighed, walking off to the back of the cave where her room was. Without looking back, she collapsed onto her bed and before she knew it, was asleep. “Hmmm... what?” Lady Frostbite opened her eyes weakly to make out the black blur that had been nudging her. Flier, the Darblat with the longest wingspan, was eagerly pointing out the cave, and even in the darkness she could see his eyes were wide with fear. Without a second thought, she rushed out, ready to call on her guards at a second’s notice. Outside the air was frozen even for her, and the waters of the ocean gently splashed against the shores of the island. Everything seemed perfectly fine... until she dared to look up. Whizzing above her was what looked like a shot of flame, circling the island. “Torchio! Not YOU again!” She roared at the idea of having to rebuild the machine yet again, and called on her guards, who threw spears of ice at the flame above. All of them missed, causing Lady Frostbite to grow even angrier. In a flash, Torchio changed direction and started heading away from the island, towards the ocean. “Oh no, you don’t,” she whispered, and slid down the ice on her back like the Darblats taught her years ago. She kept her eyes firmly on the flame above, her ice guards still unsuccessfully trying to bring it down. When she reached the shore, she unhooked one of the boats as quickly as her hands would let her, jumping on and making her way after Torchio. “What WAS I thinking...?” groaned Lady Frostbite, completely out of breath as she kept rowing. On the horizon she could see the outline of Krawk Island and knew she had travelled at least a few miles out from her home land. The sun would be rising soon, and she still hadn’t caught up to Torchio, who was still flying way above her. He now seemed to be changing direction and heading back around her home island. She started to change direction, and noticed a strange glowing red shadow following behind her in the water. Even rowing a little harder now, the red glowing shadow kept following her boat. She stopped and stood up, trying to make out what the annoyance was, but it was too dark still. “Watch it miss, that’s a mine!” screamed a deep voice somewhere in the darkness of the ocean. The voice was crisp and close, but where was it? Without warning, something at a tremendous speed rushed past her boat; behind it, another one of those glowing red things. That glowing red shadow combined with the glowing red shadow following her and an explosion erupted right before her eyes. The force from it pushed her back into her seat. “This is a dangerous area, get out of here before you get into any more trouble,” said the voice again. This time, she got a good look; the voice was coming from a young Blue Krawk, sitting on a boat much like her own, but piled with dubloons and other treasures. Even with the weak light of the sun in the horizon she could see the shimmering gold on his boat, along with the glowing ice from the small icebergs around them. “You should watch how you talk to a Queen!” she yelled back, picking up the oars and getting ready to row again. “Queen? You don’t lo-” he started, playing with a two dubloon coin in his hand. “Look like one of them? Yeah, like I’ve never heard that one before,” she mocked. With a flick of the wrist, she slammed a nearby iceberg into his small boat. He yelped as his ship rocked, and with that small motion, the treasure chest at the top of his pile, the one with the most dubloons, tipped and fell overboard with a slick ploof sound. “No! That took me hours to get!” He hesitated jumping into the water to get it, but reached his entire left arm into the frozen waters to try and grab at it. She smirked to herself; who did that lowly Neopian think he was to talk to a Queen like that? Without much of a break, she started rowing towards where Torchio was last headed again. It wasn’t more than two minutes into rowing that she started to feel guilty about what she had done to that Krawk. He did save her from the mine, even though he was a bit snide. She sighed and looked at the distant flame of Torchio near her island, and then back at where the Krawk was. What to do? Gritting her teeth, she turned her boat around and rowed back to the Krawk, who was still at the same spot with a fishing net deep in the water. “Back to tip my entire boat over?” he growled, swinging the net underwater back and forth. She simply stood up and without hesitation, dove in the ocean, immediately going as deep as she could. The Darblats had taught her well since she was a child, causing her to be able to dive deeper and longer than the average Krawk. The sun’s rays were still weak, but the water was not very deep, and she quickly got a glimpse of not only one pile of treasure, but another as well! Grasping it with her free arm and tail, she swam back up quickly and handed them off to the eager Krawk, waiting at the edge of his boat with wide eyes. “Whoa, thank you miss!” The smile on his face stretched wider than the Lost Desert, and deep down, she felt good about what she did... which was a new strange feeling for her. Without waiting, she swam back to her boat and jumped back on, her muscles shaking from the cold water. The Krawk rowed over and threw her a towel, wished her a Merry Christmas, and smiled before rowing off into the direction of Krawk Island again. She whispered a muffled response and immediately started rowing again, towards her primary objective: Torchio. But it wasn’t long until she was disturbed once again, this time by a boat that was coming straight towards hers. “Guys, I don’t think this is right... We should’ve never turned right after Meridell. Who had the bright idea to leave this early anyway?” a squeaky voice questioned, coming from that boat. She simply watched as she kept rowing, wondering what was going on. “Well, Meela was afraid to take the caves again, and I figured if we started early, we couldn’t possibly miss it this year!” said a Brown Kiko, taking the map (which was upside down), and trying to read it. “Why don’t we ask her, Cellers? She probably knows more than you about this area. Hey, Ms. Krawk, over here! Please help!” said a Peophin, waving frantically at Lady Frostbite. She glared at the Peophin, and wanted nothing more than to crash an iceberg onto their boat so she could go back to Torchio. “Yes...?” She yawned, frowning at the four Kikos and the Peophin on the small boat. As they got closer she could see strange equipment on their arms, and what looked like a brown ball rolling around on its own on the floor of the boat. “We’re trying to get to Altador [they poked at Altador on the map with their nail], but we can’t recognize where we are exactly... do you know?” They all immediately looked up at her with questioning eyes, and everyone was silent. “Just keep going east, past Krawk Island and past Mystery Island.” She pointed, settling herself back at her seat and grabbing the oars again. “Gee, thanks! Told you it was east, Ditan,” remarked the Pink Kiko, folding up the map and getting back to the rowing seat. “Yeah, yeah...” mumbled Lady Frostbite, as she kept rowing back towards her home island, where Torchio was flying over. That made her more determined than ever, knowing he could be destroying the machine (again!) or even worse, terrorizing her dear Darblats. For the next hour she rowed fiercely, fighting through how tired she was from having stayed up the whole night rowing. She moved icebergs aside with difficulty, panting as she got closer to the island. Torchio looked to have now disappeared inside the cave, where her machine was! Luckily, she was close enough to her home land and quickly docked her boat, jumping off in a flash and rushing up the steep incline towards the cave. The way up was much harder than down, and she was too tired to use her powers to make the climb any easier. “Reveal yourself!” she bellowed once again, rushing into the cave, her guards behind her and the ice-blast ready to go on the tip of her fingers. But instead what she saw made her jaw drop. “Wait... what?” In front of her was her machine, with a huge red bow around it, and all of her Darblats staring happily at her. In front sat Hopper and Chirper, both holding a huge glowing red kite. Crier and Flier grabbed her hands and led her to the machine. How they managed to get it fixed in a matter of hours was unbelievable! Well... considering a lot of the holes were covered by tape, maybe not so unbelievable; but still. She couldn’t help but smile, and turned to face all her Darblats. Cheering erupted throughout the room, and that day no more work was done by any Darblat on that island. Indeed, the Christmas spirit was evident throughout Neopia that day, even in the smallest islands. Once upon a time on a small windswept island in the middle of high-foaming seas, there lived a blue Kyrii.